AUSPERL vermiculite is ideal for the germination of seeds because the aeration properties combined with its water holding capacity makes it a superb medium for direct contact with the seeds. Excellent for laboratory seed germination tests and pre-chitting seeds for commercial growers. Large and small seeds can be raised in pure AUSPERL vermiculite. Slower germination seeds may be raised with a 50/50 mix of AUSPERL vermiculite and peat or perlite. AUSPERL vermiculite can be used as a soil improver. When applied to an outdoor seed bed it will give improved emergence and less risk of capping. 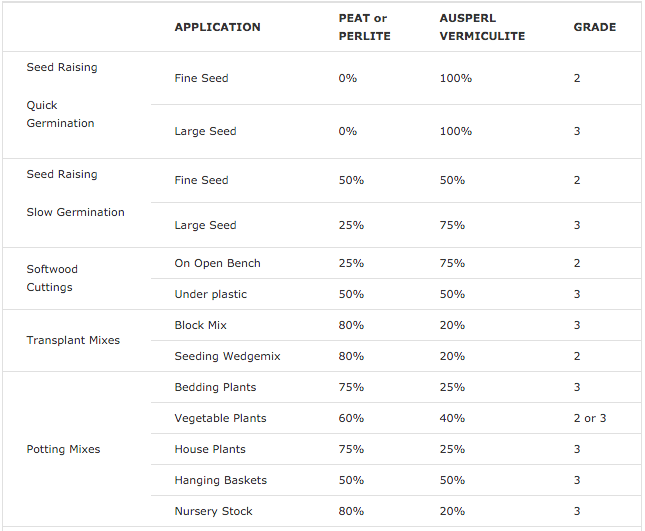 AUSPERL vermiculite in sowing composts encourages quicker germination, improved seed growth, and less check when pricking-out or potting on. Sow on a well-watered and drained mixture of equal parts of AUSPERL vermiculite and peat or perlite. Alternately, add one partvermiculite to two parts of ready mixed seed compost, posting or all-purpose compost. The proportion of vermiculite may be increased to 75% for large slower-germinating seeds. Sow thinly, evenly and not too deep. Cover lightly with free flowing moist AUSPERLvermiculite. Avoid over firming. Put the container in a warm place until the seeds germinate, then move to a light position. Keep moist with a fine drenching mist as necessary. Seedlings are easily removed from AUSPERL vermiculite compost without damage to the fine roots and they transplant with a minimum of disturbance. AUSPERL vermiculite mixed with up to 20% of fine peat or blocking compost is recommended for most of the wedge shaped plug module systems of vegetable and bedding plant propagation and transplanting. The ‘Speeding’ system of large scale peat module production, developed in the U.S. usesvermiculite in the mix to safeguard against water logging in the peat wedges, facilitate re-wetting and to ensure the optimum air/water relationship for rapid seed germination and sturdy growth. Mixes of AUSPERL vermiculite or perlite will require the addition of lime and nutrients in accordance with specific crop requirements. AUSPERL vermiculite is also applied as reflective surface and protective covering after seedling module trays for raising varieties of bedding, and plants and vegetable transplants. AUSPERL vermiculite can be used where the seed has been placed into growing blocks. 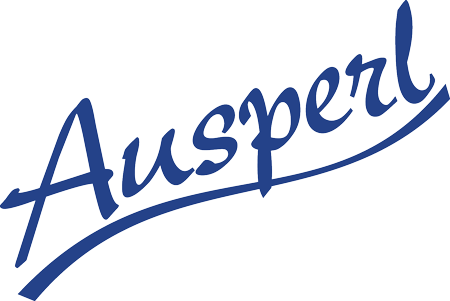 AUSPERL vermiculite encourages better aeration, drainage and insulation without prejudicing the stability of the block. Germination can be further improved by covering the seeded blocks with a layer of AUSPERL vermiculite. This will also facilitate re-wetting of the block and insulate the seed from excessive temperature fluctuations. Water the AUSPERL vermiculite and perlite/peat mix before inserting cuttings and do not compress around the base of the cutting. A 50/50 mix (with either peat of AUSPERL perlite) is generally suitable for soft cuttings on the open bench or under plastic covers (do not use vermiculite under mist). Thoroughly water the AUSPERL vermiculite before inserting cuttings and do not compress around the base of the cutting. AUSPERL vermiculite has special properties which favour the weaning of tissue cultured plants from the test tube stage to the commercial glasshouse. Such plants may be entirely without root hairs, and they will suffer readily from water-stress. AUSPERL vermiculite/peat mixes have been found to provide a most suitable medium for plants at this stage of development. A 50/50 mix is recommended as a starting point for trials. AUSPERL vermiculite has been used successfully mixed with Agar gel or with a nutrient solution and also as a rooting medium for propagules. AUSPERL vermiculite (fine or medium grade) mixed with perlite (P200 or P400) has also been found to be an excellent weaning medium, particularly useful where absolute sterility from organic material such as peat is necessary. AUSPERL vermiculite is recommended material for this technique of bulb propagation in which small ‘chips; from a bulb are stored in a warm placed in a bag of 100% AUSPERLvermiculite until a new bulb is formed at the fork of the scales. The sterile moisture retaining and insulation properties of AUSPERL vermiculite make it ideal for this application. AUSPERL vermiculite can also be poured loosely around the bulbs and tubers to provide safe storage and to protect from frost and damage during winter. AUSPERL vermiculite will not absorb moisture from inside the tubers but it does take up free moisture from the atmosphere thereby preventing storage rot. AUSPERL vermiculite in potting composts gives a very light open compost, holding more water and facilitating re-wetting, thereby lengthening the time between watering. AUSPERL vermiculite also has excellent ion exchange properties which absorb excess nutrients and releases them slowly to the plants via the finest root hairs. A 50/50 mix of AUSPERL vermiculite and perlite is widely used for greenhouse pot plants and hanging baskets while a 25/75 mix is generally suitable for bedding plants and house plants. To improve existing compost add 20-25% of vermiculite and mix thoroughly. As the nutrient content in the original compost has been diluted by the AUSPERL vermiculite, earlier feeding may be required.